Delos in ancient Greek language is the opposite of “adelos” (invisible) and means clear, brought to light, obvious, apparent. Greek mythology tells the legend of how the island of Delos appeared suddenly amidst the waves of the sea when Leto was looking for a safe place to give birth to her twins Apollo and Artemis. Starting from Platis Gialos Port, we approach Delos so that you will be able to get a complete view of its monuments and archaeological remains. If you wish, we stop at its picturesque small port and you can visit the archaeological museum and enjoy a trip into the ancient Greek past. Then we continue our cruise towards Rhenia Island, whose history is closely related to that of Delos Island. There we make a stop for swimming and snorkeling at one of the many beaches of this isle, all of them unique in their beauty. Away from the busy crowds of Mykonos Island, enjoy your privacy at secluded beaches & bays; you will be amazed by the beauty and tranquility. 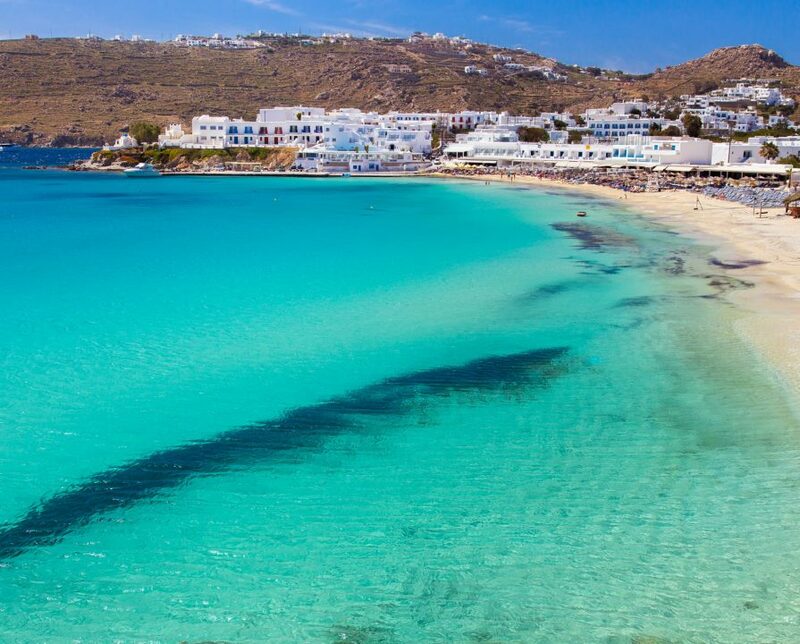 Our next destination will be one of the most famous and popular beaches of Mykonos (Paradise or Super Paradise or Agrari or Elia); be sure that you will see them all from a totally different perspective. Enjoy your swim or lay back and let yourself be carried away by the summer rhythm. After a day full of excitement and new experiences, we will head back to Platis Gialos Port.